Someone's on your mind? Let them know! 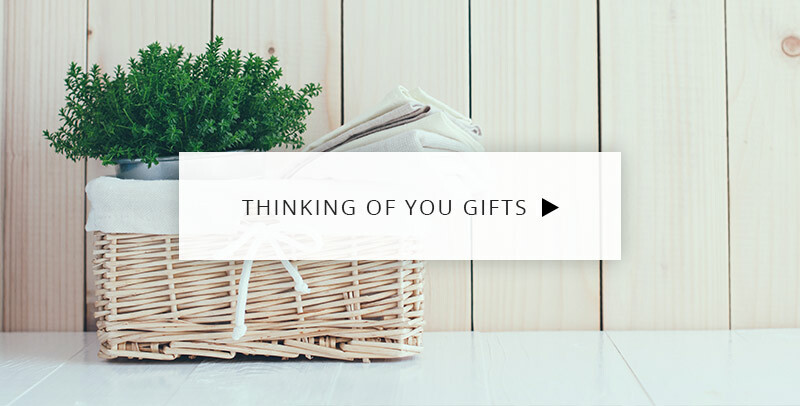 Whether far or close, our dear and loved ones love to be reminded how much they mean to us. Don't miss the opportunity to wish someone a quick recovery, let them know you are thinking of them or wish them lots of strength and courage after they lost someone special. 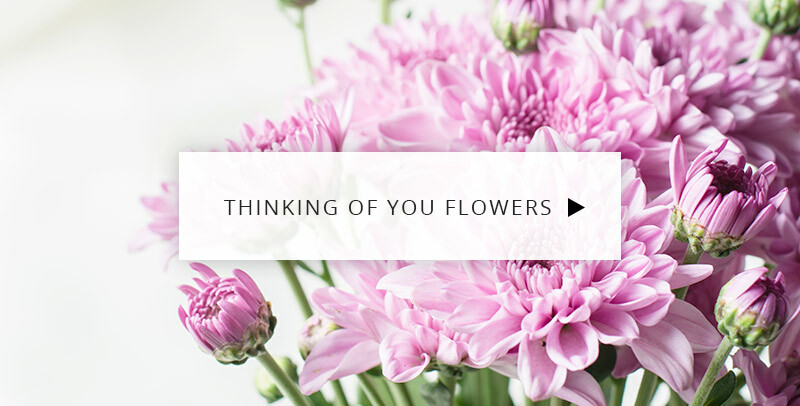 Sending thinking of you blooms is a lovely reminder that they take a special place in your heart. If you want to add a few words to match the sentiment, here is a short selection of thinking of you card message to inspire you. I hope you feel better because I miss you so much. I'm sending healing thoughts and a little sunshine to brighten your day and help you recover faster. There is one good thing about not seeing you… I can think of you! When you fall asleep every night, I can't! Thoughts about you don't let me sleep! Despite the distance, I can't keep myself from thinking of you every single minute. Miss you! In the dark times and happy times, you can count on me to stand by your side. Thinking of you and sending my love. Don't worry about all problems you have… Someone is thinking of you! Not a day goes by that I would not think of you. Missing you and sending my love. It doesn't matter if we are together or apart: you are always in my thoughts and in my heart! I find your image in everything: sunshine, wind, waves… I'm just thinking of you! My wife and i had an agreement that this year for Anniversary it was to be a nice meal but no gifts.The night before I got to thinking that I have given my wife flowers at least once a month every month since we were married so i m not going to stop now. At 21.00 the day before and Serenata still managed to deliver next day.I cant ask for any better than that!!! I have a friend in London and wanted to let her know I was thinking of her on her birthday (I’m based in Australia). Ordering was simple, I was notified when they were delivered and the image my friend sent of the flowers was more beautiful than the beautiful arrangement posted on their website. Will definitely use this florist again. 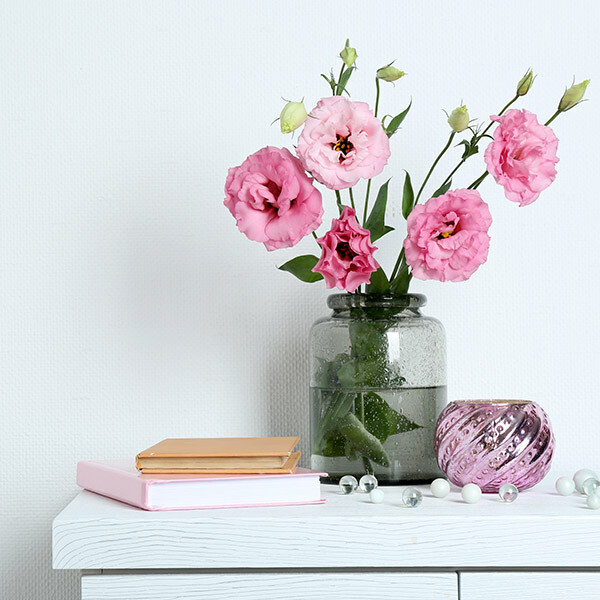 It was easy to place the order and updates were emailed straight away.The only disappointment for me was that the flowers didn't arrive until the afternoon of the required day, even though I'd ordered them more that a week in advance. I had hoped by ordering them early they'd be delivered in the morning, but that was just wishful thinking. Next time, I might arrange delivery for the day before they're required. Fantastic service Upon hearing of the passing of a friend, placed this order at 10:00pm and flowers arrived 11:00am the following day .... there is not much one can say or do at such times, yet the flowers endeavoured to show that we were thinking of them.